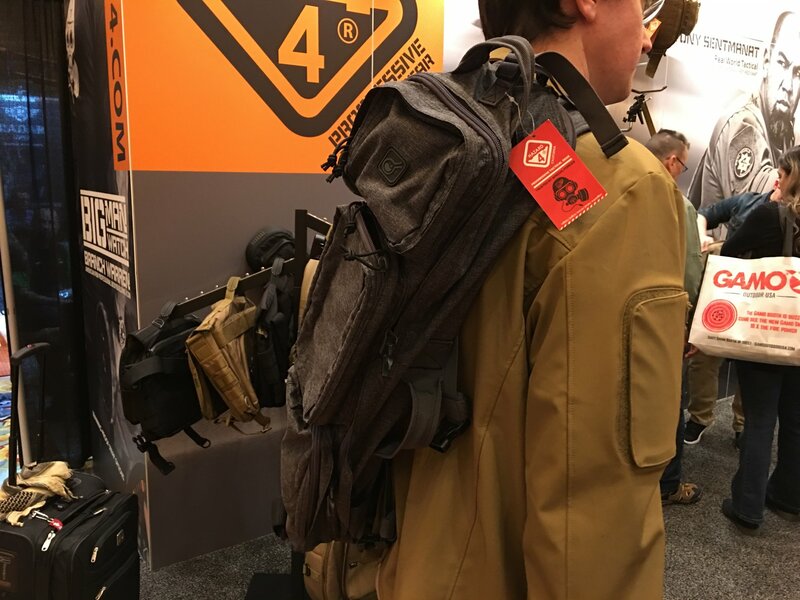 Hazard 4 H4 Gray-Man Patrol Lo-Pro/Lo-Vis (Low-Profile/Low-Visibility) Urban Combat/Tactical Pack, Gray-Man Take-Down Carbine Sling Pack/Bag, Gray-Man Plan B EDC/Bug-Out Sling Pack/Bag, and Gray-Man Kato Concealed Carry (CCW) Bag for Under-the-Radar Concealed Carry (CCW)! (Video!) | DefenseReview.com (DR): An online tactical technology and military defense technology magazine with particular focus on the latest and greatest tactical firearms news (tactical gun news), tactical gear news and tactical shooting news. 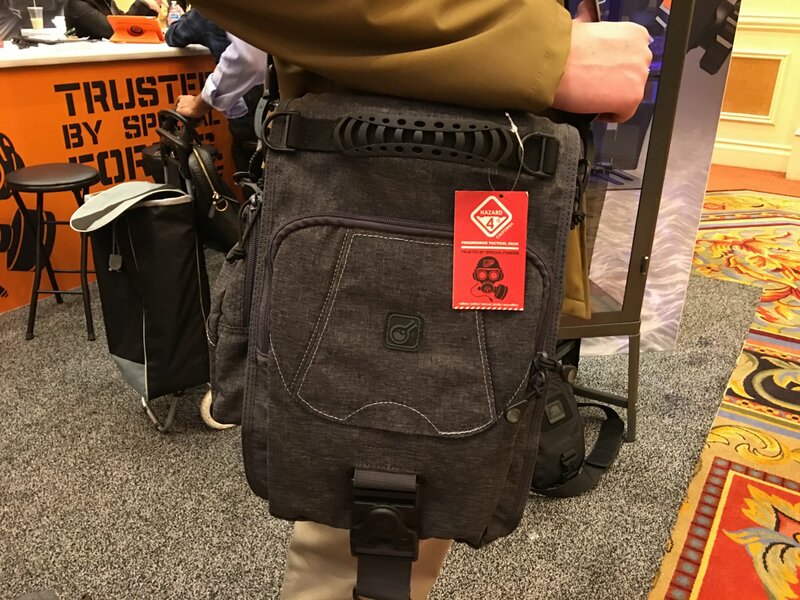 As if really cool new titanium tritium combat/tactical dive/diving watches weren’t enough, Hazard 4 (H4) also introduced their Gray-Man line of lo-pro/lo-vis (low-profile/low-visibility) urban combat/tactical packs, sling bags, and rifle/weapons bags at SHOT Show 2017, which appear to be very well designed and made, and intrigued us. 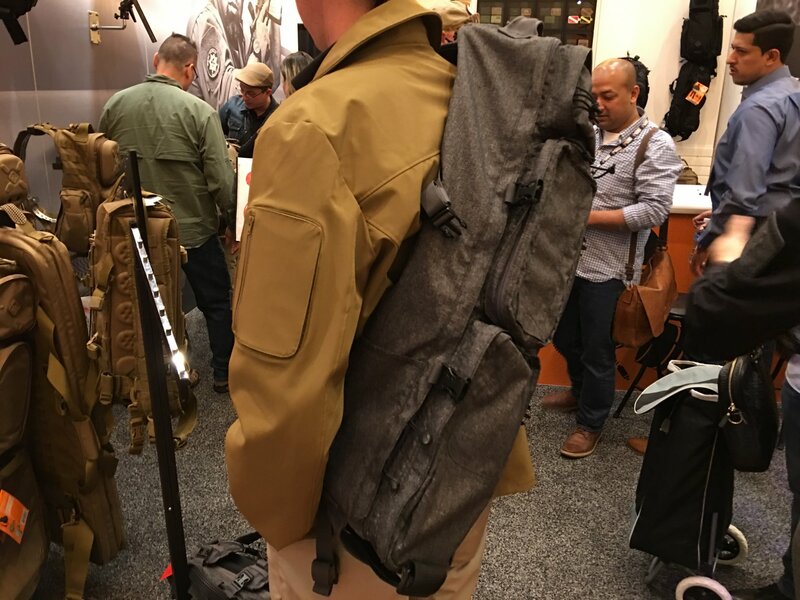 The Gray-Man packs and bags are essentially H4’s best selling packs and bags manufactured in new fabrics and colors, based on customer feedback. 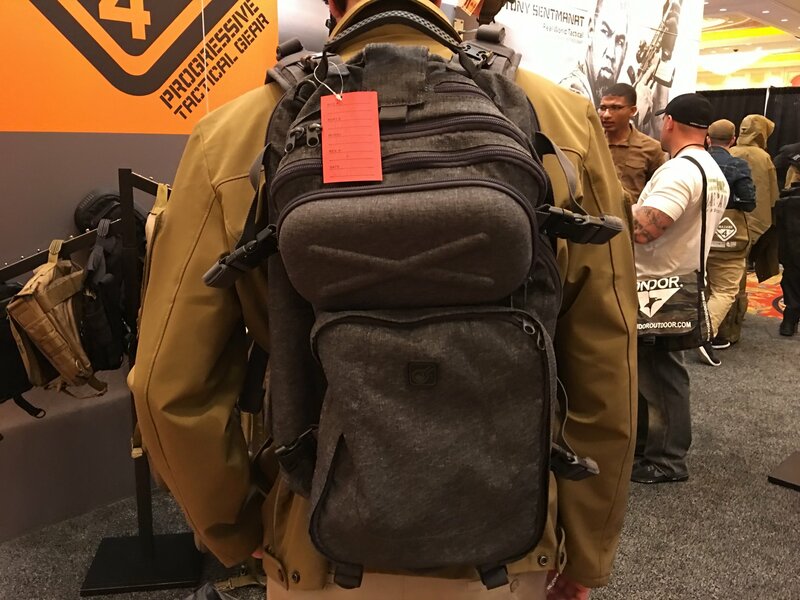 H4’s customers wanted products that accomplished 90% of what their standard tactical packs and bags did, without looking so tactical. 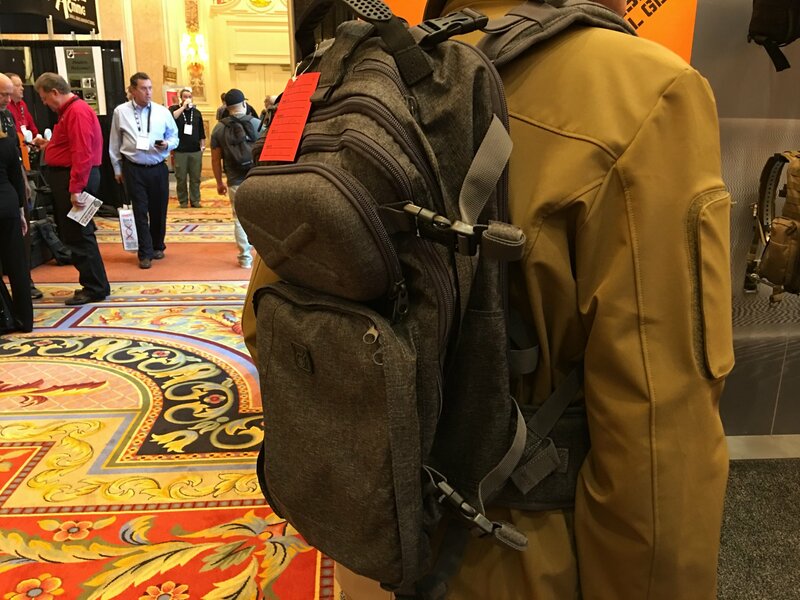 The new Gray-Man products are also lighter than their Cordura cousins. DefenseReview (DR) likes both the design and construction of the products, as well as the materials, that look high-end. You can see this in the video DR shot (below). 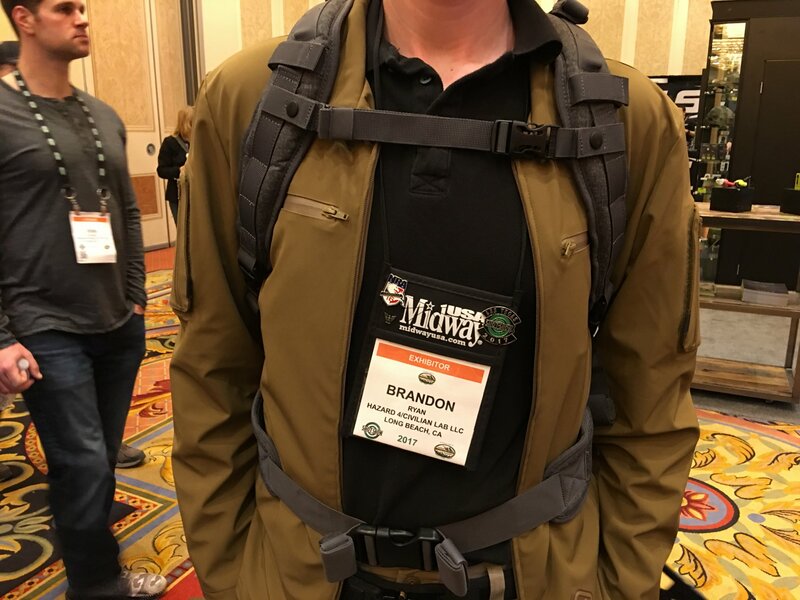 The first product company rep Brandon Ryan showed us was the Hazard 4 Patrol Gray-Man (grey nylon) Pack that sports an impact-resistant thermoform shell (compressed foam) compartment/pocket on the upper part of the outside of the pack. 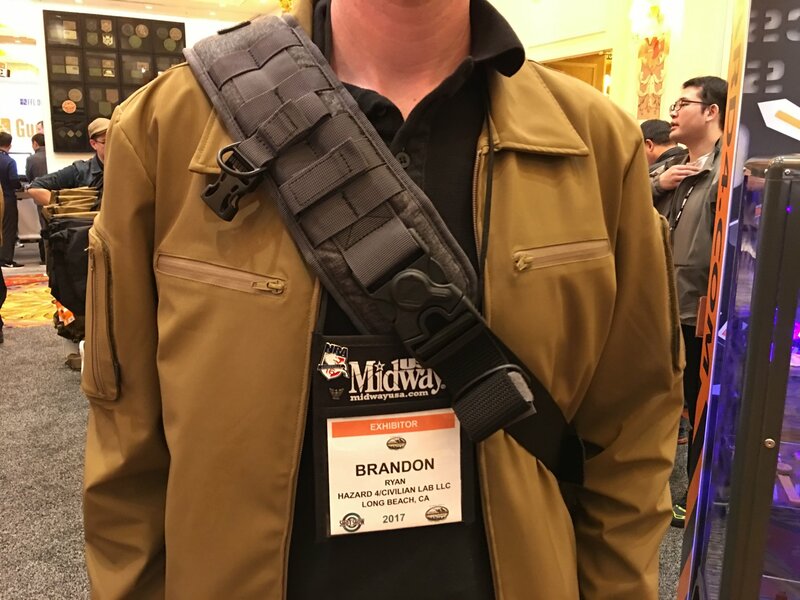 The inside of the pack is a coyote brown color that’s relatively light for eay searching and sanitization/sterilization (weapons and ammo removal) during travel. 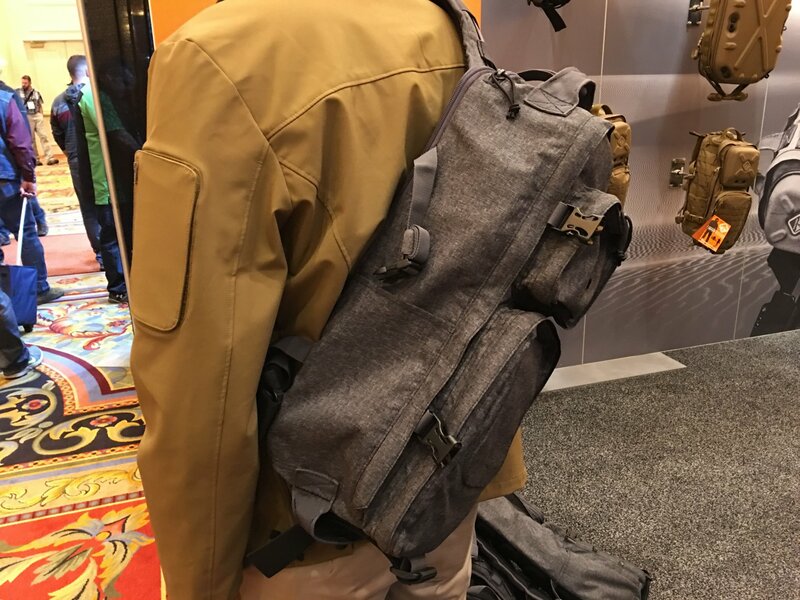 The Gray-Man pack also features wide padded shoulder straps and waist band for comfort. 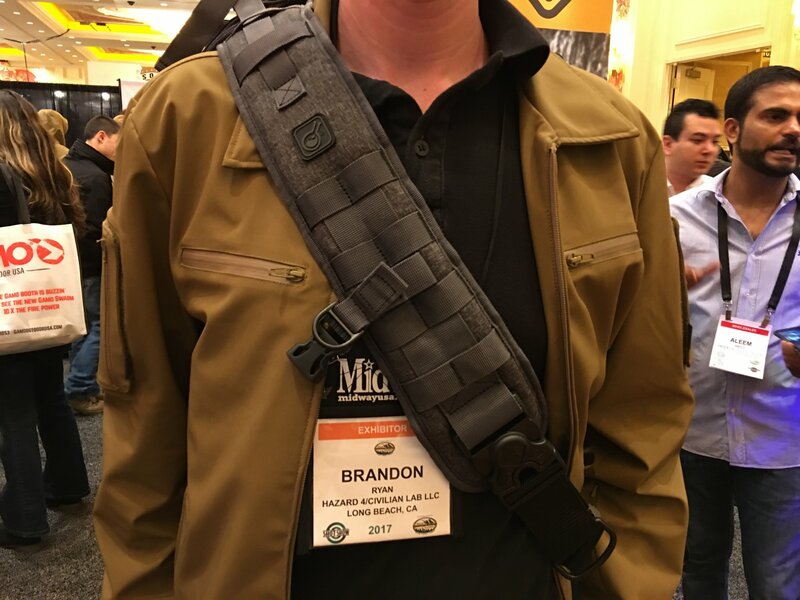 Ryan describes the pack as extremely comfortable to wear. 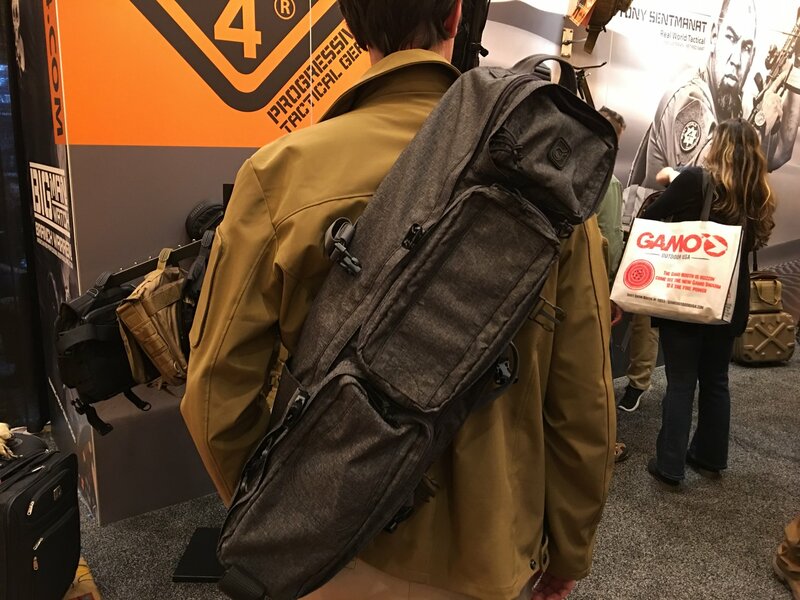 Next up was the H4 Take-Down Gray-Man carbine sling pack/bag designed to carry and conceal a 16″ tactical AR (AR-15) carbine that’s been taken down (upper and lower). The H4 Take-Down Gray-Man sling bag features the same coyote-brown interior lining. 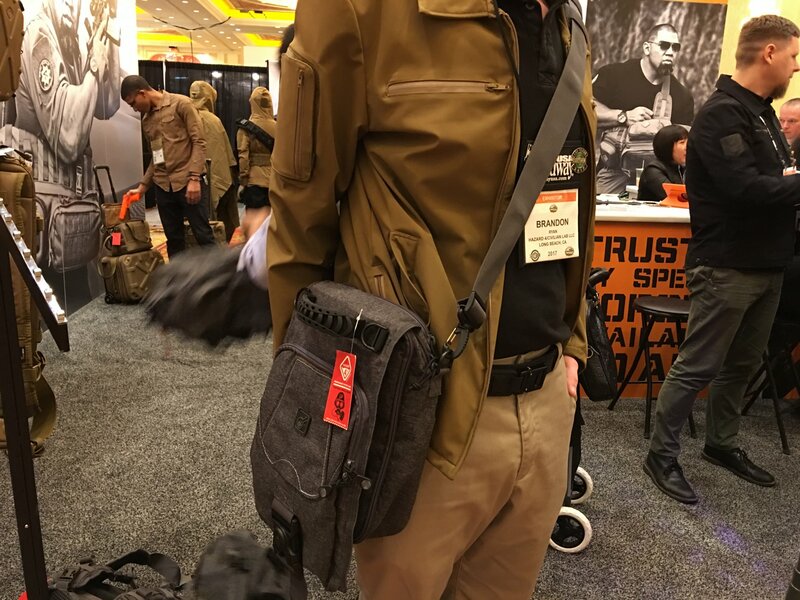 Then it was on to Hazard 4’s “number one best seller”, the H4 Plan B Gray-Man sling pack/bag, which is “more of a truck bag, something you keepin the back seat, a really small EDC or bug-out [bag],” for ammo and magazines, Ryan said. 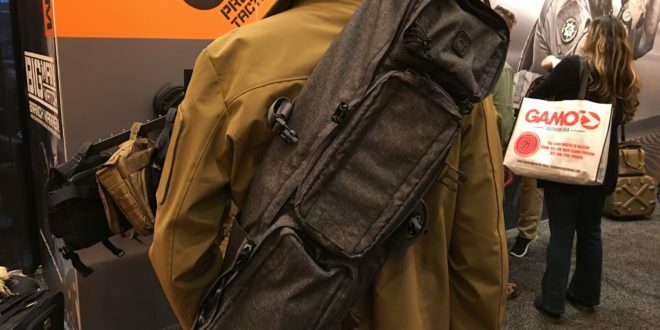 When Ryan showed DR this bag, DR noticed the very nice black thermoform padding that goes against the body, designed to keep the wearer both comfortable and cool. 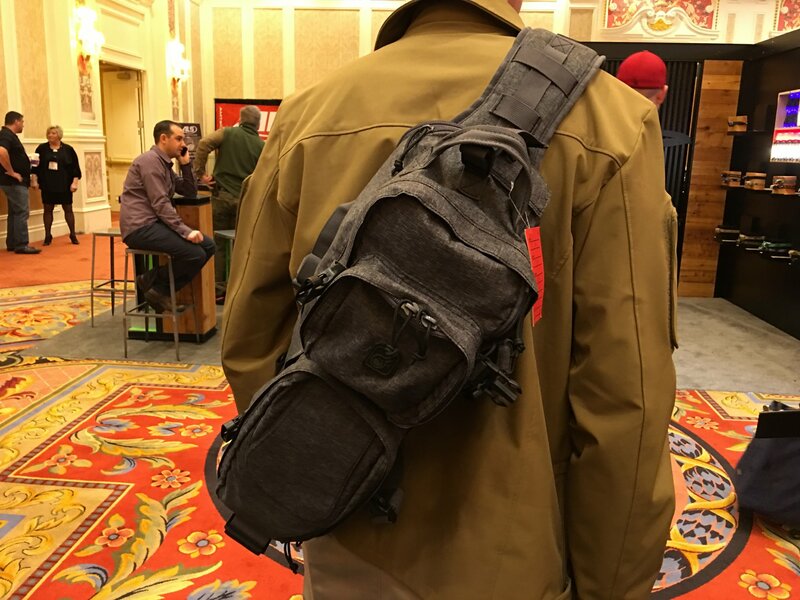 Ryan finished up with the <ahref=https://www.hazard4.com/kato.html target=right>H4 Kato Gray-Man concealed carry (CCW) bag, which is the Gray-Man version of his personal daily carry bag, and soon to be his new daily carry bag. 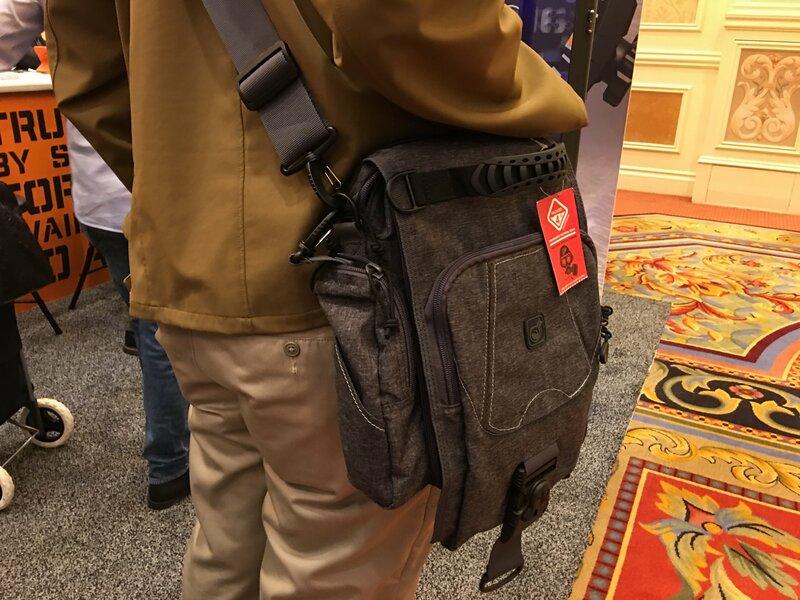 The H4 Gray-Man Kato bag is perfect for carrying a pistol concealed pistol, spare (loaded) mags, tactical folder (folding knife), etc., if you don’t want to carry them on your person for some reason. 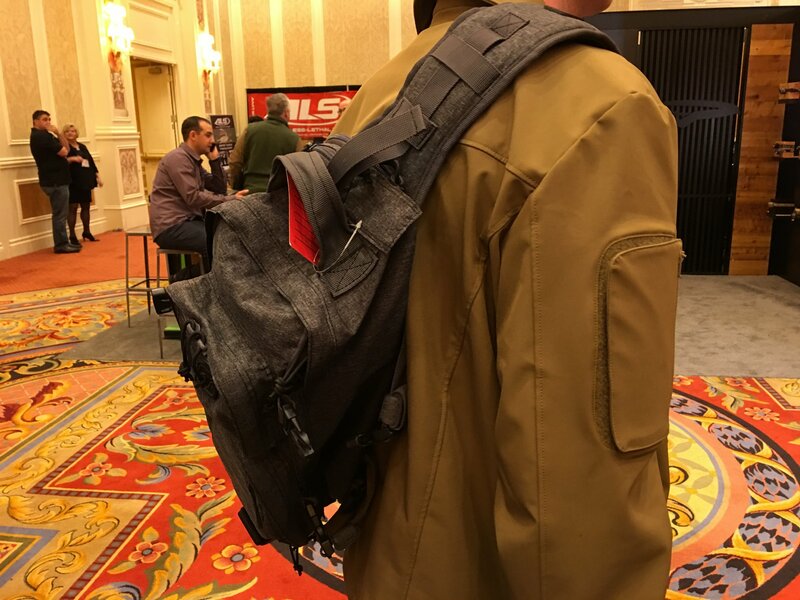 Defense Review hopes to obtain one or several of these bags at some point for some real-world T&E and review. In the meantime, enjoy the video we shot below. Source Patrol 35L Hydration Cargo Pack Combat/Tactical Hydration Backpack: The Ultimate 3-Day Pack! Tru-Spec Men’s 24-7 Series Cool Camp Shirt for Covert Missions/Ops and Concealed Carry (CCW): Vented Warm-Weather Tactical Shirt Comes in Two Comfortable Mosture-Wicking Fabrics! Dynamis Razorback Blade: Efficient, Minimalist Double-Edged Combat/Tactical Fixed-Blade Knife for Edged Weapons Combatives and Self-Defense! Next: Brugger and Thomet B&T USW-A1 (Universal Service Weapon) 9mm Parabellum/9x19mm NATO Pistol-Type Semi-Auto PDW (Personal Defense Weapon) with Aimpoint Nano Mini Red Dot Sight Combat Optic and Side-Folding Stock!